Writing for The Tablet earlier this week, Coptic journalist Engy Magdy, who lives in Cairo, Egypt, said it is “a heavy burden” to be a woman in a society of people who “see women as a disgrace,” noting her plight is only compounded by the fact that she’s Christian. During this #MeToo era, in which women are encouraged to open up about their experiences with abuse and harassment, Magdy said sexual wrongdoing in Egypt should be described as a nationwide “epidemic.” She pointed to a 2013 study commissioned by the United Nations that found more than 99 percent of Egyptian women have been subjected to some form of sexual misconduct. And in 2017, another study from the U.N. found an incredible 64 percent of men in Egypt admitted to having sexually harassed women on the street. That despicable reality is one made worse for Christian women in the Muslim-majority country, where all females — regardless of religious affiliation — are considered public targets if they don’t wear head coverings. “He thinks that he will have a religious reward if he can manipulate her emotionally and persuade her to marry him, or to convert to Islam, a phenomenon prevalent in Upper Egypt,” Magdy wrote. And more often than not, it’s the abused, not the abuser, who is blamed for the harassment. After enduring sexual wrongdoing, women in Egypt are often lectured to about how they “have to be decent and cover” their bodies entirely, Madgy explained. Because women are typically held responsible for the sins committed against them — and other females rarely stick up for one another — women who endure abuse seldom see justice, despite the fact that Egyptian penal code has consequences in place for sexual harassers. In her op-ed, Madgy rebuked the Coptic Orthodox Church for looking too much like the culture in which its embedded, particularly when it comes to inheritance, child guardianship and divorce. The Egyptian Constitution, which is heavily reliant on Sharia Law, stipulates women can only receive half the inheritance of men — a regulation that applies to all women in the country, no matter what. Additionally, the Church has not taken a strong stance against the country’s policy on guardianship, which is automatically awarded to another male relative if the husband dies. 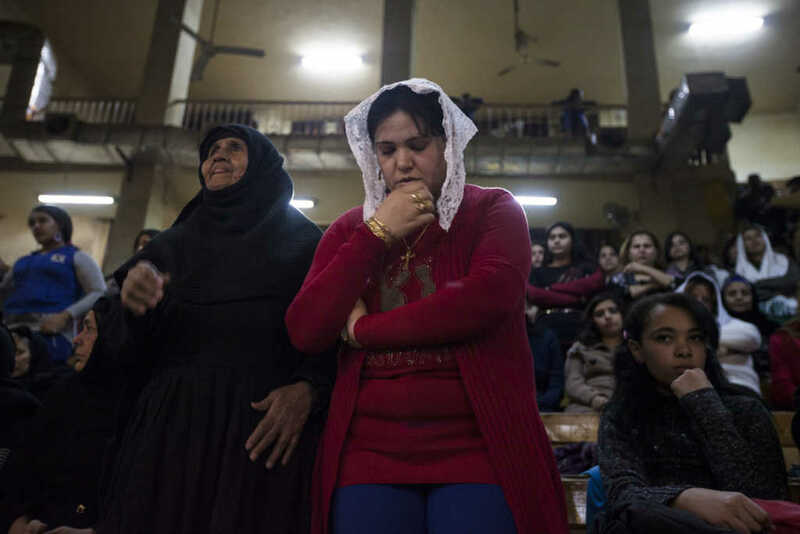 And when it comes to divorce, Coptic women are not allowed to seek separation from their husbands, even if they are physically or psychologically abusive. “In cases where women ask for help from the Church, the usual response from the priest is: ‘You have to sacrifice for your family … just pray for your husband and everything will be okay,’” Magdy wrote. Magdy is the mother of a daughter, for whom she spends quite a bit of money to send to a school where she is receiving a decent education. But nevertheless, she lives in constant fear her young child will fall victim to Egypt’s oppressive culture.